We advise the use of tile ramps at the garage entrance to preserve the tile edges and to prevent tripping accidents. 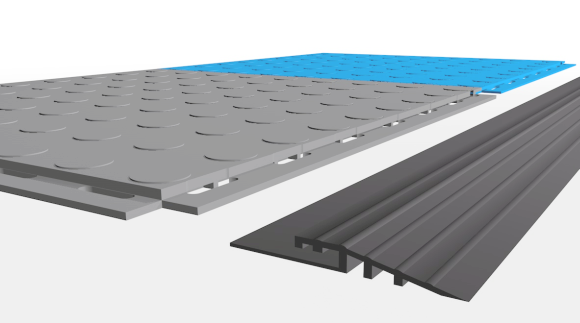 Please note ramps are designed for interlocking with 7mm thick Mototile Seamless floor tiles and will not align with tiling systems using thinner tiles or different interlock methods. Secure card payments are via WorldPay and PayPal options. Prices are per 2.5 metre length of ramp.